The Joker is one of the greatest comic-book villains of all time. I consider him to be the best of the worst: one of the most iconic and interesting baddies in pop culture. Why is Batman’s greatest foe such a great character? Part of it, I suppose, is that he is a perfect foil. Like Batman, the Joker has no superpowers. They are mere men, driven to opposite extremes by their obsessions. The Dark Knight fights for order and justice; the Joker stirs up chaos and violence. Batman wants to see Gotham happy and safe; the Joker wants to watch Gotham burn. In the video above, Kevin McCreary lists a few facts you may not know about the Joker. (This is the same Kevin with whom I performed a rap battle back in the day. He’s a really cool dude.) The video follows the recent reveal of the Joker’s latest incarnation for the forthcoming Suicide Squad movie, which reimagines the classic killer clown as a goth rocker with a headache. This Joker is a disappointment after Heath Ledger’s chilling performance as the Clown Prince of Crime in The Dark Knight. Ledger’s mirthless Joker was excellent, but my favorite version of the character is Mark Hamill’s gleeful, unhinged Joker. Hamill’s cackling psychopath scares me far more than Ledger’s mumbling criminal. Why is the Joker scary? It may be because he loves violence and cruelty for their own sake. He is impulsive, childish, sadistic, and—this is what disturbs me most—maniacally cheerful. The Joker is an evil guy with a strong sense of humor, and that’s creepy. This entry was posted in Geeky Wednesdays and tagged superheroes by Adam Stück. Bookmark the permalink. Yeah, can’t say I’m a fan of this direction. We’ll see how it turns out I guess! 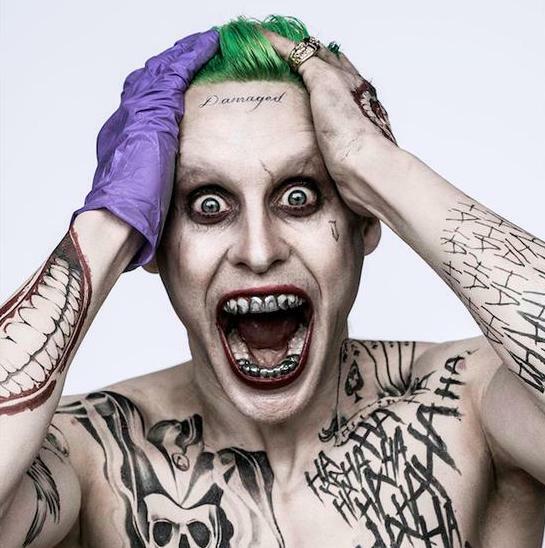 I don’t like the latest version of the Joker, but they’re making a Suicide Squad movie, so I guess I can’t complain. On a related note, I should probably watch the new Superman movie at some point.